Owner's Manual for such Sail models as ОТН9.9, ОТН15, ОТН40. 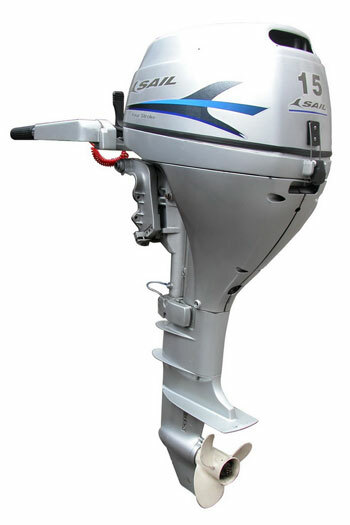 Sail outboard motors (an exact copy of the "Yamaha" SEA PRO), available in Europe, America and Australia. Each engine passes bench testing and testing in the pool with water. Worthy quality, presentable appearance and competitive price allow the Sail brand to successfully conquer the largest markets of water-motor equipment. Chinese artisans have the fame of not only skilled craftsmen, but also virtuoso copyists. The exception was the company and Suzhou Powermax, which has been manufacturing water motor technology for more than thirteen years. The line of boat engines Sail, which is produced by the Chinese concern, is an accurate and high-quality copy of equipment from a more well-known brand. We are talking about engines Yamaha, and to be more specific, then about their famous line of Sea Pro. Sail boat engines are assembled at production sites equipped with the latest technology. The quality of the ruler is at a fairly high level. This results in flawless product performance. The latter is confirmed not only by the company's own factory tests, but also by the opinion of independent experts. Today, the Sail line is exported to more than fifteen countries, including Russia. The secret of product success is extremely simple - an attractive price-performance ratio. Each month, the company produces up to two thousand Sail engines. Before shipment to the final consumer, the products pass mandatory tests - one hour of work in the bathroom. The warranty offered by the manufacturer for its products is 1 year.